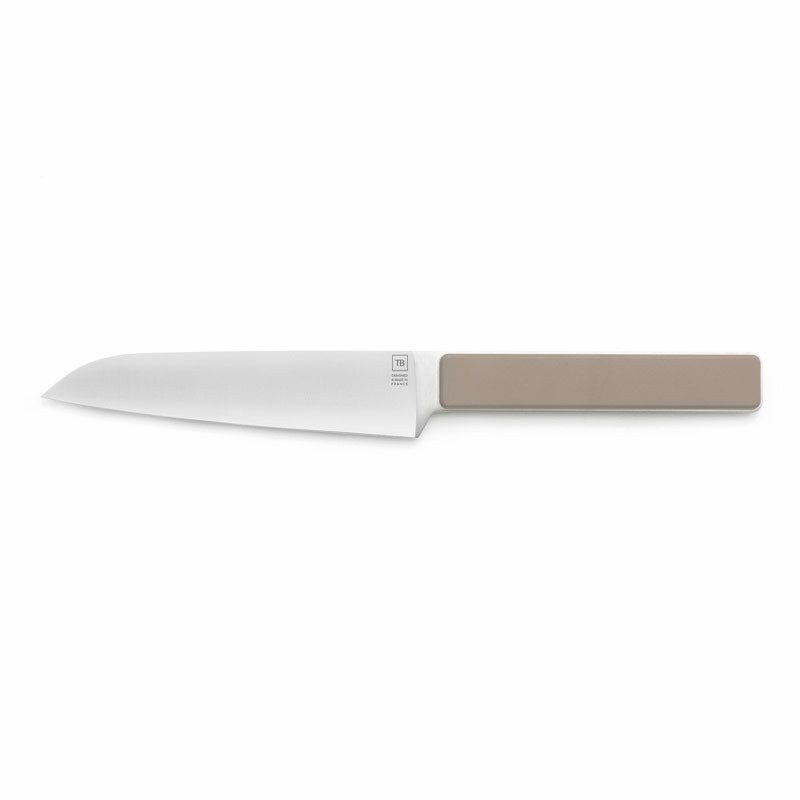 Sober, sophisticated and original at the same time, the 100% uncluttered and contemporary design of this Hector Santoku knife is easily recognizable. 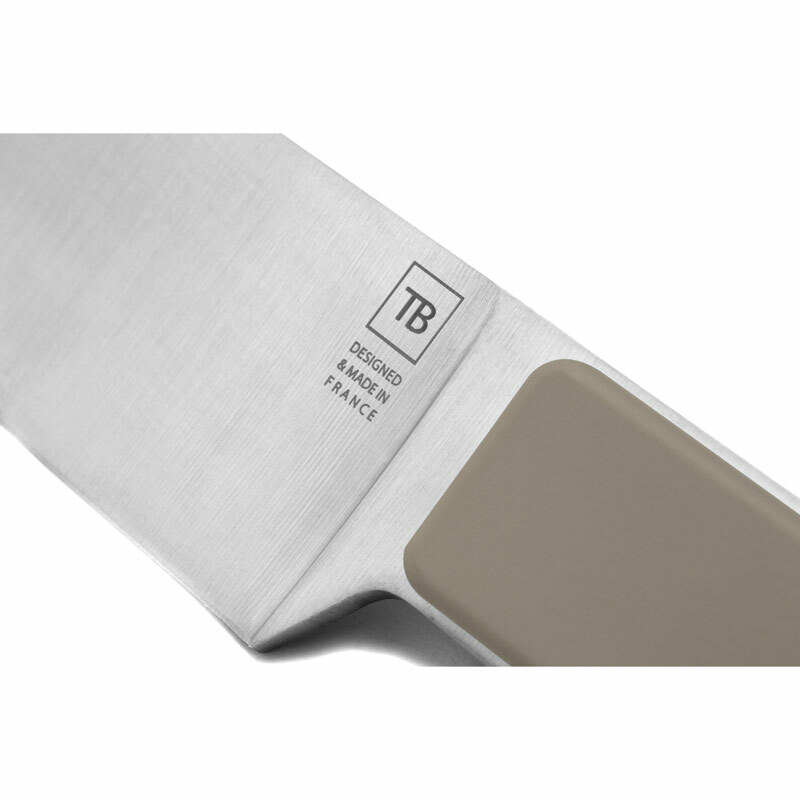 It is the result of an aesthetic research led by experts of the R&D department of Tarrerias-Bonjean, leader in French cutlery. 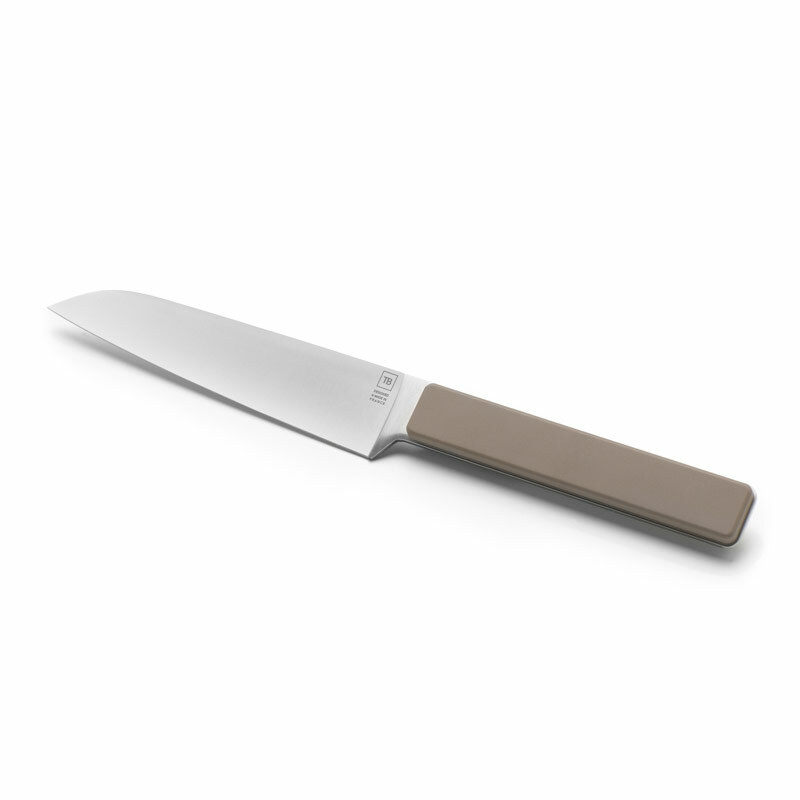 In taupe colour, the ABS handle of this Hector Japanese kitchen knife is dyed in the mass, which avoids any colour fading. The Acrylonitrile Butadiene Styrene is a very light but sturdy polymer that can resist a regular use. This santoku knife can be personalised with laser engraving up to 30 characters, don’t forget to ask for it!